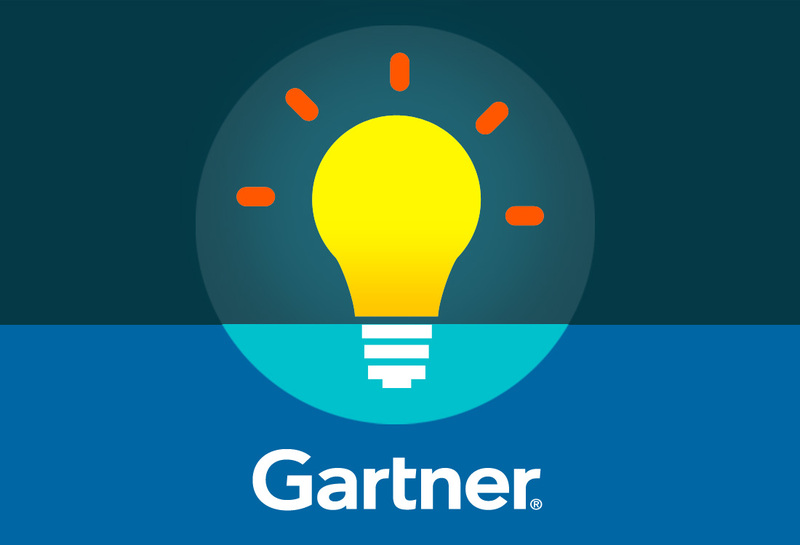 A recent Gartner, Inc. survey found that 41 per cent of surveyed IT professionals believe their IT organisation to be ready for the digital business of the next two years. Twenty nine per cent of those surveyed said that engagement with the demands of digital business would be their primary duty or a significant part of their duties. 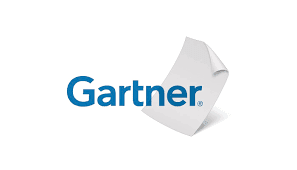 In the first quarter of 2016, Gartner surveyed 948 Gartner clients across 30 countries. Those surveyed were IT professionals representing many job categories and technology disciplines and were asked about their role in their organisation's efforts to transform itself in order to meet the challenges of digital business. 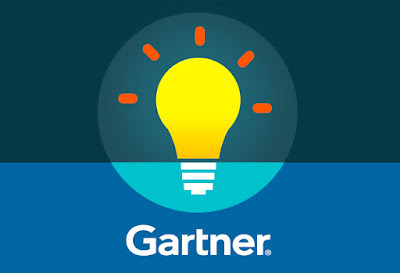 "IT professionals indicate that their investment priorities, infrastructure changes, skills development and business-IT interactions are in flux, and that they are unsure how their IT organisation will make it through any digital transformation," said John Hagerty, Vice President and Distinguished analyst at Gartner. "For some, change is coming too fast. For others, it's not coming fast enough. Many know they need to change, to think and act differently, but they struggle with these shifts. Many find it hard to balance today's demands — including simply keeping their organisation running — with tomorrow's must-haves." Ninety-one per cent of the surveyed IT professionals are in no doubt that they have a role to play in their organisation's digital transformation. However, 59 per cent added that their IT organisation is unprepared for the digital business of the next two years. The latter finding highlights a real concern. Uneasiness about how well IT organisations are prepared reflects skills deficits in both technological and non-technological areas. The survey found that the technology areas that will most influence IT professionals' jobs and careers in the next 18 months are considered to be cloud computing, analytics, mobility and security. "Emerging technologies in fields such as cloud computing, mobility, and data and analytics, in addition to security and risk management, are permeating nearly every aspect of the IT landscape," said Hagerty. "It's essential that IT professionals identify and fill the main technology- and effectiveness-related skills gaps now — otherwise, they risk impeding their organisation's progress toward strategic goals." The surveyed IT professionals identified the cloud as the technology that will have the single-biggest impact on their career in 2016. Twenty-two percent selected this option — a figure double that for the next most popular choice, data and analytics. "Acquiring cloud skills quickly is essential for IT professionals to be able to reimagine and remake their firm's IT infrastructure to better enable digital business strategies," added Hagerty. "However, it's not only cloud — there's a whole collection of technology- and effectiveness-related skills that IT professionals must plan for now." The survey asked the IT professionals to identify up to three skills gaps that their organisations were trying to fill in relation to information, technology or digital business. Cloud and data and analytics led the list. The respondents also pointed to gaps in general technical skills (indicating a lack of broad technology knowledge), as well as in the fields of security, legacy modernisation, mobility and the Internet of Things. "But it's not just about technology, as three of the top 10 responses were professional effectiveness skills, namely critical thinking/problem solving, business acumen/knowledge and communication skills," said Hagerty. 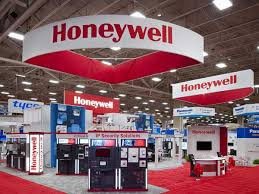 Honeywell has announced the appointment of Vikas Chadha as President, Honeywell India, succeeding Anant Maheshwari, who held a series of leadership roles with the company during the past 12 years. Chadha will assume responsibility as country leader for Honeywell India effective August 1, 2016. Prior to this new appointment, Chadha, a 7-year Honeywell veteran, has served as Managing Director of Honeywell Automation India Limited (HAIL) since January 1, 2014. A successor to Chadha will soon be named. Earlier, Chadha was Regional General Manager, Honeywell Building Solutions, for the India region, and before that, Regional Director – South Asia for Honeywell’s Security business. Before joining Honeywell, Chadha was a consultant with McKinsey & Company, where he spent more than two years in strategic consulting and business improvement in India and the Middle East. 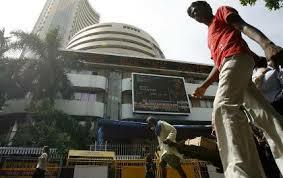 He has also held national-level management positions at Sharp Business Systems and at Larsen n Toubro Limited. Chadha will drive Honeywell’s businesses to seek new growth opportunities and identify potential synergies in the region. Honeywell is among the most deeply invested multinationals in India, with more than 3,000 technology products, solutions, and innovative applications being engineered in the country. The cutting-edge work that is done here supports Honeywell’s advanced technology development, software capabilities through CMMI Level 5 programming, and new product introductions, including in the emerging connected technologies space. ITC Infotech, a global scale full service provider of technology solutions, has announced the second edition of its annual technology innovation and co-creation platform ‘iTech 2016’. The event will take place at the ITC Infotech campus in Bangalore on July 16 and 17, 2016. Marking a first this year, iTech 2016 will introduce a new segment called ‘Showcase’, a unique platform designed to connect technology startups and their solutions directly to business users. As a part of ‘Showcase’, shortlisted startups will get the opportunity to interact with business leaders and technocrats, and demonstrate their solution to them. As a system integrator, ITC Infotech may partner and invest in helping startups further develop their solution, create a joint go-to-market and provide wider market access. Manufacturing: Solutions to guide on the correct course of action, change plant & equipment maintenance process, while saving time and money, or enhance training material, quality control and related areas. Consumer Goods: Create an immersive experience and transform the way consumers interact with products in store. Retail: Enhance customer experience in online and offline shopping. Solutions to create virtual trial room or virtual fashion shows to present the new season and line. Hospitality: Entries should present solutions designed to revolutionize the way guests experience the hotel property, its amenities, deals & offers and other information. Education and Stationery Products: Entries should use AR/VR technologies to pique children’s interest in academic material, enhance learning with interactive puzzles and simplify understanding of ‘how things work’. Banking, Financial Services and Insurance: Solutions to make processes easier and radically improve customer experience. Agriculture: Create a thriving ecosystem with intelligent pest management & control solutions. Guide farmers and farm workers in planning usage of fertilizers, pesticides and irrigation schedules for different crops and crop cycles. Danfoss and Sondex have announced an agreement for Danfoss to acquire full ownership of privately-held Sondex Holding A/S, a global leader in heat transfer technologies. Sondex develops, produces and markets heat exchangers, and the company represents an ideal match to the Danfoss Heating business segment. Thus the acquisition confirms Danfoss’ strategic focus on building leading positions and accelerating profitable growth. “Sondex is a well-performing company with a second-to-none heat exchanger expertize, which perfectly fits our ambition to further strengthen our position within heat transfer solutions. By joining forces we are able to offer a broader, even more competitive and innovative product and service portfolio within heat transfer to the benefit of our customers”, says Niels B. Christiansen, President and CEO, Danfoss. Combining the two businesses, Sondex and the Danfoss Heat Exchanger business, is an important lever to develop the already strong market position in district energy and HVAC, and to increase relevance within industries as marine, food and beverage, off-shore, and industrial refrigeration. “Sondex and Danfoss both come from positions of strength and we already enjoy a strong and long-standing relationship in key areas. Now, we combine our businesses to make an even bigger impact in the markets we serve. I am very pleased about the opportunity to combine our strengths as I am confident that together we will have a very compelling and unmatched value proposition in the market”, says Aage Søndergaard Nielsen, CEO, Sondex. Sondex is headquartered in Kolding, Denmark and employs approximately 1,200 employees worldwide. Upon regulatory approval of the transaction, the company becomes part of the Danfoss Heating business. The parties have not disclosed the purchase price or other conditions of the transaction. 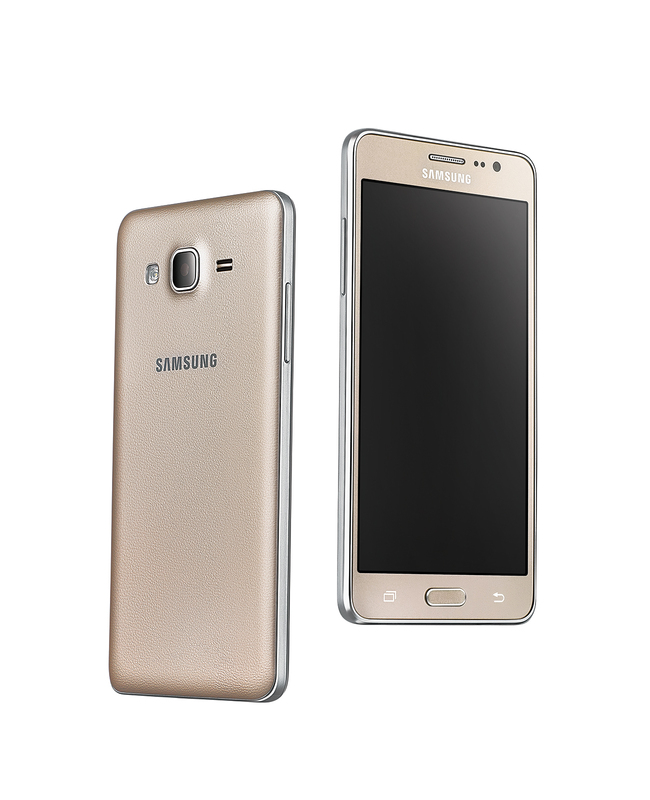 Samsung India has announced launch of its Galaxy On Pro series of smartphones, Galaxy On7 Pro and Galaxy On5 Pro, which will be sold online through Amazon.in. Made in India, the new 4G-enabled smartphones are packed with a host of services and features which take the smartphone experience to the next level. Through these new devices, Samsung aims to cater to the growing needs of the users who are ‘always on the go’ and want to remain socially updated at all times. Galaxy On7 Pro and On5 Pro come loaded with power-packed features such as UDS (Ultra Data Saving) mode, faster 4G booster and S bike mode, which promise to provide a differentiated experience to millennials. Consumers will also be able to enjoy a host of exclusive deals and offers with the pre-loaded My Galaxy app on the Galaxy On7 Pro and Galaxy On5 Pro. The stylish new devices are VOLTE-enabled and will come with enhanced memory, powerful battery and an enhanced selfie experience with palm gesture/ wide angle. Noor Patel, Director Category Management, Amazon India, said, “We are happy to partner with Samsung and offer customers an exclusive access to the new Galaxy On7 Pro and Galaxy On5 Pro smartphones. Customers on Amazon.in can now enjoy shopping for these new devices with ease and convenience from across India." Pro) display which are made for crystal clear clarity and comfortable viewing. Users can be assured of an engaging, effortless and enriching viewing experience. The new device comes with the revolutionary S bike mode, which ensures that the users can ride their two wheelers, tension free on the road while encouraging responsible riding. S bike mode’s urgent call alert system notifies callers through an automated answering machine that the user is riding and is unavailable to take calls. However, callers have the option to press ‘1’ in case the call is urgent. As a safety feature, the in-built motion lock ensures that the rider has to come to a halt before they can answer the call. 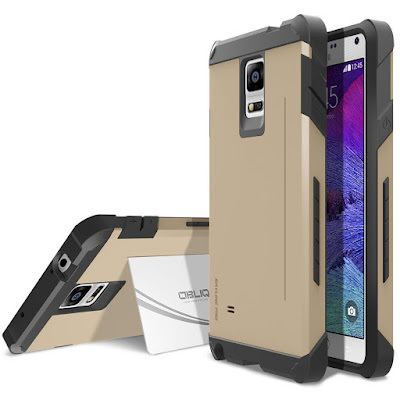 Galaxy On7 Pro and Galaxy On5 Pro is powered by a 2GB RAM and 3,000mAh battery for Galaxy On7 Pro and 2,600mAh for Galaxy On5 Pro which will enable a smooth gaming experience for longer durations. The devices offer storage space of 16GB expandable up to 128GB, to ensure consumers never run out of space. Both the phones feature a powerful primary (13MP for Galaxy On7 Pro and 8MP for Galaxy On5 Pro) and secondary camera (5MP for both). The front camera can also recognize palm gestures to click selfies and is capable of clicking 120 degree wide ‘groupfies’. Users can quick-launch the camera with a double-tap for a differentiated experience to capture precious moments instantly. With 128GB expandable memory card slot, the devices will enable users to carry their favourite photos, videos and songs with them wherever they go. 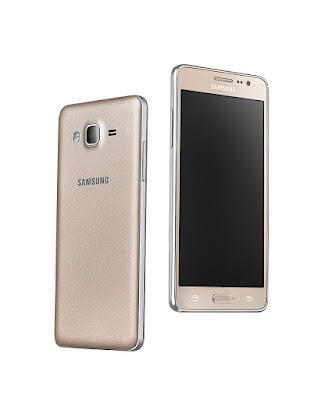 Galaxy On7 Pro and Galaxy On5 Pro will be available in gold and black colours and the product will go on sale on www.amazon.in from July 12, 2016 at an attractive price of Rs 11,190 and Rs 9,190, respectively. 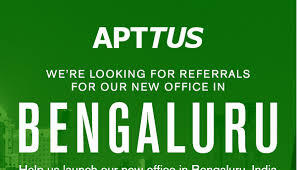 Apttus, the category-defining Quote-to-Cash solution provider on Salesforce1 and Microsoft Azure cloud platforms, today announced the official opening of its Bengaluru centre in India. 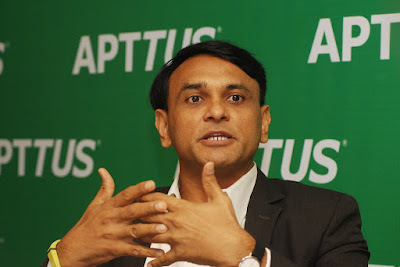 Due to the brand’s rapid growth of its customer base and solutions offering, the Apttus India team has tripled in size over the last year, adding personnel most notably to its product engineering, sales engineering, support and professional services teams. 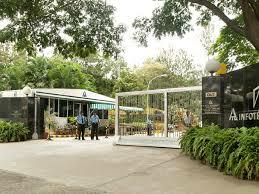 Apttus’ new 16,000 square feet technology centre is located at Salarpuria Touchstone Park on Outer Ring Road. The development centre is a combination of sales office and product development spaces that will be home for 200 employees and will leverage the best of HR practices that Apttus is known for. With the opening of Bengaluru centre, Apttus has been also aggressively trying to enter emerging market in India for addressing the need for ‘Quote-to-Cash’ processes. With the India specific launch of Apttus QTC solutions, businesses would be able to take advantage of the world class solutions which are adopted by many of the Fortune 500 companies globally. Quote-to-Cash connects a customer’s intent to buy with a company’s realization of revenue, and encompasses the entire sales, contract, and customer relationship lifecycles. Because Quote-to-Cash is at the heart of every company’s ability to drive revenue and manage risk, it is arguably the most important process for businesses to master and could be a game changer for the organizations to compete better. Inox Wind Limited, India’s leading wind energy solutions provider, has bagged an order for a 50 MW wind power project to be deployed in the state of Gujarat from Atria Wind Power. 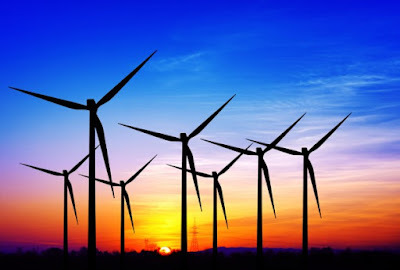 Atria Wind Power is a part of the Atria Group which enjoys significant presence across a gamut of industries. The project is scheduled to be commissioned by March 2017 and will be executed on turnkey basis. The order comprises of supply and installation of 25 units of Inox Wind’s pioneering 113 meter rotor diameter turbine combined with the 120 meter hub height tower. The combination of Inox Wind’s presently most technologically advanced wind turbine variant together with the higher hub height makes it an outstanding choice to maximise wind resources at the site. 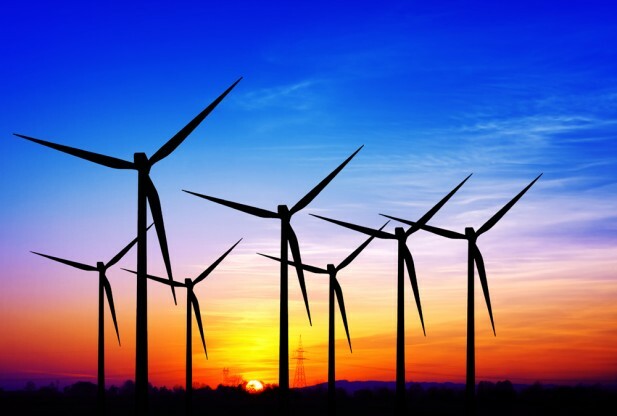 As part of the turnkey order, Inox Wind will provide Atria with end to end solutions from development and construction to commissioning and providing long term operations and maintenance services. We are pleased to further build on the success of Inox’s 2 MW platform in India and expand our portfolio of projects in the state of Gujarat. 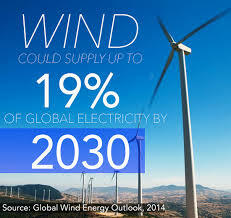 The 113 m rotor dia turbine together with the 120 m hub height tower minimizes the cost of energy and further strengthens the company’s competitive position as the fastest growing wind energy solutions provider in the country.” said Kailash Tarachandani, Chief Executive Officer of Inox Wind Limited in his statement. Tech giant Google launched Android Skilling and Certification programme in India, aiming to train two million developers in next three years. Android dominates Indian market, with over 90% phones sold in the country powered by the Google's operating system. Google wants to ensure that enough developers are building apps for millions of Android users in India. The Android Developer Fundamentals course, a specially-designed instructor-led training programme, will be made available across public and private universities and training institutes of the National Skill Development Corporation of India. "India is expected to have the largest developer population globally, overtaking the US, by 2018, with four million developers. But at present only 25% of developers are building for mobile," Google Vice President Product Management said Caesar Sengupta. Google Head of Developer Training, Peter Lubbers, said the training is available for both students as well as mid-career developers, he added. The in-person training module integrated into the course curriculum will be introduced within this calendar year by these partners. 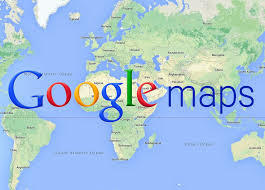 Lubbers said Google has partnered with universities for its initiative. It has also partnered training organisations like Edureka, Koenig, Manipal Global, Simplilearn, Udacity and UpGrad, who will operate as Authorised Android Training Partners in India. "We are also training the trainers to update their Android courseware to prepare students for the Android Certification and a career in Android development... We expect to train about 4,000 faculty members," said Lubbers. 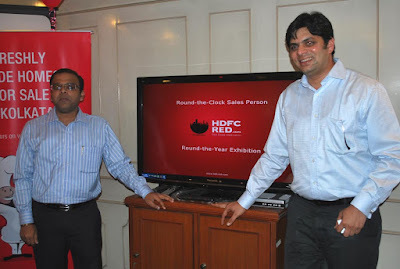 HDFC RED, a home search and discovery portal by HDFC Ltd, has launched its new platform, both on desktop and smartphones, with an ambition to become the preferred ‘Real Estate Destination’ and transform a home seeker’s online and offline experience. The all new HDFC RED unifies its unparalleled domain expertise, data sciences, other related technology and the home seekers ‘real’ preferences to provide unbiased guidance through the journey of finding their kind of place. The HDFC RED platform now hosts the ‘Priority Search’, a well-researched and logically crafted tool that compels home seekers to prioritize their preferences. 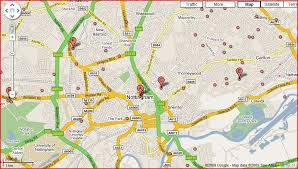 This action leads the users to view properties in an order indicating the extent of relevance, with results personalized to each user. Each property has a relevance score and feedback mechanism, which is tailored as per the priorities identified by the home seeker. The Priority Search thereby helps home seekers to discover their preferred homes faster & with significant ease. The gamified interface and the card design architecture further aid the user in receiving seemingly complex information in a much more simplified way, while offering an immersive and an interactive experience. Speaking at the launch of the platform on desktop and smartphones, Renu Sud Karnad, Managing Director, HDFC Ltd, said, "Our consumer behavior research of online homebuyers revealed that most of them end up being buried under heaps of information within minutes of their search and despite the large pool of properties presented to them, more often than not, the options do not come close to fulfilling the criteria of a ‘dream’ home, resulting in unsatisfactory experiences. In order to ensure our users an added level of immersion, we elevated our offering by adding meaningful technological innovations and design to the core of our application. SYNNEX Corporation and Minacs have announced a definitive agreement in which SYNNEX will acquire Minacs and integrate it into its Concentrix business segment. The purchase price is approximately $420 million subject to closing adjustments. This transaction is intended to strengthen domain expertise in Concentrix’ automotive industry vertical and accelerate Marketing Optimization and IoT solutions with Minacs’ proprietary technology. The transaction also provides Concentrix more scale and reach to further serve its client base. As a result, Concentrix is expected to strengthen its competitive advantages in the marketplace. It is anticipated that the transaction will close in late Q3 2016, subject to the satisfaction of regulatory requirements and customary closing conditions. Until the transaction is completed, the companies will continue to operate independently. Cisco has announced it will help engineers, developers, partners and customers embrace a monumental change in how networks are built and managed—preparing the industry for the transition to digital-ready networks. Cisco is also building on the intersection between security and networking with new technologies designed to simplify branch office security and make it more effective. In March, Cisco launched the Digital Network Architecture (Cisco DNA)—a radical new approach to networking designed for the digital era. As customers embrace mobility, cloud, analytics and the Internet of Things (IoT) to digitize their business, IT teams are struggling to keep up with the ever-increasing complexity of the network, sophistication of security attacks and growing customer expectations. Cisco realized that traditional networks simply could not scale to meet the increasing demands of the digital business. A new network was needed for the digital era. A network designed from the ground up to be flexible, programmable and open. Cisco DNA helps IT address these demands by moving networking from hardware-centric to software-driven, from manual to automated, and from reactive to adaptive. "Organizations need to address the expanding threat landscape across mobility and cloud, while facing increasingly sophisticated security attacks,” says Jeff Reed, senior vice president, Networking Infrastructure and Solutions at Cisco. “With DNA, Cisco is reinventing how we secure networks for the digital era by embedding advanced security capabilities into a single network architecture. But technology alone isn’t enough. We are also preparing IT professionals with new skills, training network-savvy developers and helping customers navigate the journey to digital-ready networks." · Umbrella Branch gives organizations simple, fast and comprehensive security at their branches by putting them in control. After activating the software on Cisco’s popular branch office router, the Cisco ISR 4000 Series, IT can apply content filtering and block malware, phishing, and C2 callbacks before these threats can reach the network—even when offices connect directly to the Internet. · Stealthwatch Learning Network License extends Cisco’s market leading network as a sensor and enforcer capability for branch-level threat detection and response. The software resides on the Cisco ISR 4000 Series and offers new adaptive security anomaly detection technology. The solution works by analyzing data only available on the network device to identify malicious traffic and instantly protect branch network from immediate threats. · Meraki MX Security Appliances with AMP and Threat Grid make it simpler than ever to deploy and manage advanced threat protection capabilities. This integration combines the streamlined cloud management of Meraki with best-in-class threat protection, enabling administrators to rapidly detect, contain, and remediate threats. To turn the Cisco DNA vision into reality, Cisco is rallying its vast global ecosystem—from customers and engineers to partners and developers – to build the skills necessary to scale, secure, and innovate on digital-ready networks. 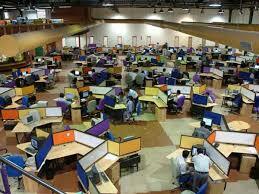 · Network Engineers: Cisco certified networking engineers build and operate the world’s most sophisticated networks. As the network becomes more automated and software-driven, these engineers must expand their programmability skills and deliver more value to the enterprise. Cisco is upgrading its career certification portfolio to help fill that rapidly growing need — including a new Cisco Certified Internetwork Expert (CCIE) framework that is being launched across all expert-level certifications along with a new Cisco Network Programmability Engineer Specialist Exam. · Application Developers: As the network becomes more open and programmable, the developer community will become critical, unlocking the potential of Cisco DNA with a new generation of network-aware applications. DNA is a key element of DevNet—Cisco’s 300,000 strong development community. Here in Las Vegas, Cisco held a two-day event designed as a springboard for developers wanting to leverage the interfaces to rapidly program and pull analytics off of network controllers and devices. The event sold out almost immediately, and was viewed as a resounding success. Cisco plans to roll out similar events globally over the next year. · Channel Partners: After years of building hardware-centric networks, Cisco’s 70,000 channel partners are evolving to flexible networks driven by software. Over the years, Cisco and its partners have evolved through numerous market transitions together. Now, Cisco is helping partners evolve their networking practices, develop new skills and open up business opportunities around automation, analytics and security. Cisco continues to offer partner incentive programs and has designed new software business roles within our existing Partner Ecosystem to help accelerate this transition. Cisco is helping IT customers navigate the journey to a digital-ready network by introducing a network readiness model. The model identifies the five key elements of network readiness: automation, analytics, assurance, security, cloud and IoT. This model builds out a customer’s journey across the five phases, with a new tool helping customers to assess their current state, followed by recommended steps to better guide their network transformation. 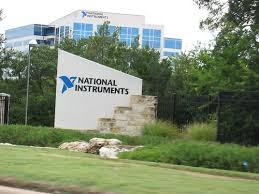 NI, the provider of platform-based systems that enable engineers and scientists to solve the world’s greatest engineering challenges, today announced a second-generation vector signal transceiver (VST). The NI PXIe-5840 module is the world’s first 1 GHz bandwidth VST and is designed to solve the most challenging RF design and test applications. The NI PXIe-5840 combines a 6.5 GHz RF vector signal generator, 6.5 GHz vector signal analyzer, high-performance user-programmable FPGA and high-speed serial and parallel digital interfaces into a single 2-slot PXI Express module. With 1 GHz of bandwidth, the latest VST is ideally suited for a wide range of applications including 802.11ac/ax device testing, mobile/Internet of Things device testing, 5G design and testing, RFIC testing, radar prototyping and more. The VST is a vital part of the NI platform and ecosystem that engineers can use to build smarter test systems. These test systems benefit from more than 600 PXI products ranging from DC to mmWave. They feature high-throughput data movement using PCI Express Gen 3 bus interfaces and sub-nanosecond synchronization with integrated timing and triggering. Users can take advantage of the productivity of the LabVIEW and NI TestStand software environments, along with a vibrant ecosystem of partners, add-on IP and applications engineers, to help dramatically lower the cost of test, reduce time to market and future-proof testers for tomorrow’s challenging requirements.